If you know which product volumes you are going to sell and which volumes you are going to produce, why then should you include inventory as a separate factor in the Sales and Operations Planning (S&OP) cycle? After all, the inventory level is simply the sum of production minus sales, isn’t it? The answer is twofold. Inventory could indeed be seen as the result. However, insufficient focus on the stock level has a significant impact on the organization’s working capital. Since the economic crisis has intensified the pressure on working capital and since a healthy cash flow is increasingly seen as a way to maximize entrepreneurship and profit. 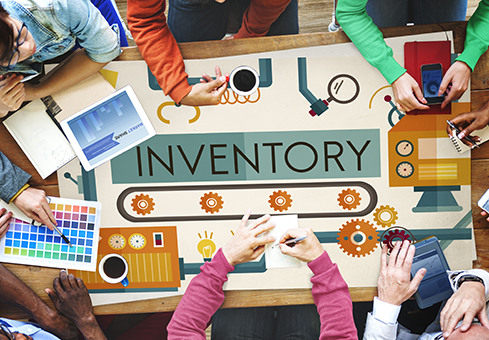 Placing the ‘i’ at the heart of the S&OP process creates urgency for inventory management optimization, yet today neither the Sales Manager nor the Production Manager lie awake at night worrying about the inventory metrics. Of course, you could argue that the Supply Chain Manager, who usually attends the S&OP meetings, sees it as his task to put inventory issues on the agenda. In a certain sense he does, although always from an operational perspective. Ultimately, it’s the CFO who is most concerned about the working capital. The emphatic inclusion of the ‘i’ in the S&OP process encourages the CFO to attend the S&OP meetings rather than holding separate working capital meetings. In the past, organizations rolled out an inventory reduction program once every few years, by which time there was always plenty of low-hanging fruit to pick. However, companies that really want to dot the i’s and cross the t’s, invest in a continuous inventory optimization process. We firmly believe that establishing a monthly S&OP meeting is an excellent starting point. ← Why should you include product management in your S&OP cycle?